My colleague, Carl Brandon, and I have been running the CubeSat Laboratory at Vermont Technical College (VTC) for over ten years. During that time we have worked with nearly two dozen students on building and programming CubeSat nano satellites. Because of their general inexperience, and because of the high student turnover rate that is natural in an educational setting, our development process is often far from ideal. Here SPARK has been extremely valuable to us. What we lack in rigor of the development process we make up for in the rigor of the SPARK language and tools. In November 2013 we launched a low Earth orbiting CubeSat. The launch vehicle contained 13 other university built CubeSats. Most were never heard from. One worked for a few months. Ours worked for two years until it reentered Earth's atmosphere as planned in November 2015. 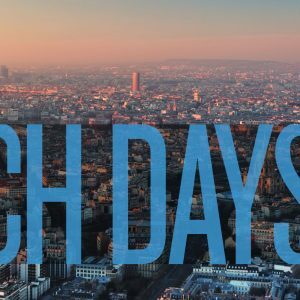 Like last year, we've sent a squad of AdaCore engineers to participate in the celebration of Open Source software at FOSDEM. Like last year, we had great interactions with the rest of the Ada and SPARK Community in the Ada devroom on Saturday. That's what we have to say about it. 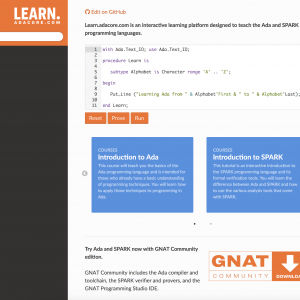 Over the past several years, a great number of public announcements have been made about companies that are either studying or adopting the Ada and SPARK programming languages. Noteworthy examples include Dolby, Denso, LASP and Real Heart, as well as the French Security Agency. The promise behind the SPARK language is the ability to formally demonstrate properties in your code regardless of the input values that are supplied - as long as those values satisfy specified constraints. As such, this is quite different from static analysis tools such as our CodePeer or the typical offering available for e.g. the C language, which trade completeness for efficiency in the name of pragmatism. Indeed, the problem they’re trying to solve - finding bugs in existing applications - makes it impossible to be complete. Or, if completeness is achieved, then it is at the cost of massive amount of uncertainties (“false alarms”). SPARK takes a different approach. It requires the programmer to stay within the boundaries of a (relatively large) Ada language subset and to annotate the source code with additional information - at the benefit of being able to be complete (or sound) in the verification of certain properties, and without inundating the programmer with false alarms. Byron Cook, who founded and leads the Automated Reasoning Group at Amazon Web Services (AWS) Security, gave a powerful talk at the Federated Logic Conference in July about how Amazon uses formal methods for ensuring the security of parts of AWS infrastructure. In the past four years, this group of 20+ has progressively hired well-known formal methods experts to face the growing demand inside AWS to develop tools based on formal verification for reasoning about cloud security. What is unique so far is the level of investment at AWS in formal verification as a means to radically eliminate some security problems, both for them and for their customers. This is certainly an approach we're eager to support with our own investment in the SPARK technology​. It's time to Make with Ada! The challenge Are you ready to develop a project to the highest levels of safety, security and reliability? If so, Make with Ada is the challenge for you! 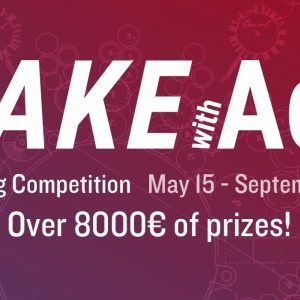 We’re calling on embedded developers across the globe to build cool embedded applications using the Ada and SPARK programming languages and are offering over $8000 in total prizes. In addition, eligible students will compete for a reward of an Analog Discovery 2 Pro Bundle worth $299.99! 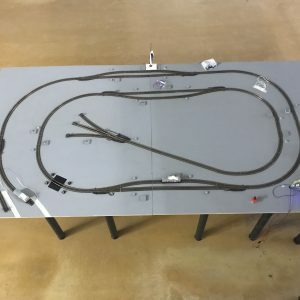 I was looking for a topic for my master thesis in embedded systems engineering when one of my advisor proposed the idea of programming a control system for autonomous trains in Ada. Since I am fascinated by the idea of autonomous vehicles I agreed immediately without knowing Ada. We are very proud to announce the availability of our new Ada and SPARK learning platform learn.adacore.com, which will replace AdaCoreU(niversity) e-learning platform. Learn all about it in this blog post. GNAT Community 2018 is here! 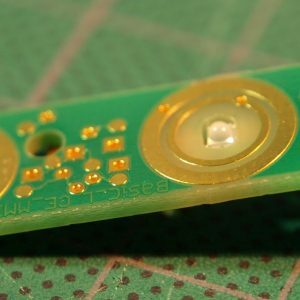 ​ANSSI, the French national security agency, has published the results of their work since 2014 on designing and implementing an open-hardware & open-source USB key that provides defense-in-depth against vulnerabilities on the USB hardware, architecture, protocol and software stack. In this project called WooKey, Ada and SPARK are key components for the security of the platform. This is a very compelling demontration of both the usability and the power of safe languages and formal verification to develop secure systems. There is a long-standing debate about which phase in the Software Development Life Cycle causes the most bugs: is it the specification phase or the coding phase? A recent study by NIST shows that, in the software industry at large, coding bugs are causing the majority of security issues. Choosing a safer language like Ada or SPARK is a critical component for reducing these vulnerabilities that result from simple mistakes. In a new freely available booklet, we explain how these languages and the associated toolsets can be used to increase the security of software. Last week, the programmer Hillel posted a challenge (the link points to a partial postmortem of the provided solutions) on Twitter for someone to prove a correct implementation of three small programming problems: Leftpad, Unique, and Fulcrum. This is part #2 of the SPARKZumo series of blog posts. 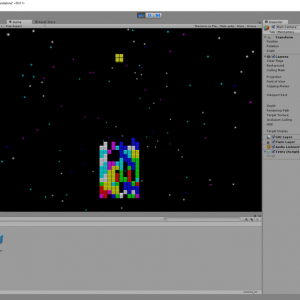 This post covers the build system that was used to build the SPARKZumo project and how to automate the process in GPS. Tokeneer is a software for controlling physical access to a secure enclave by means of a fingerprint sensor. This software was created by Altran (Praxis at the time) in 2003 using the previous generation of SPARK language and tools, as part of a project commissioned by the NSA to investigate the rigorous development of critical software using formal methods. The project artefacts, including the source code, were released as open source in 2008. Tokeneer was widely recognized as a milestone in industrial formal verification. We recently transitioned this software to SPARK 2014, and it allowed us to go beyond what was possible with the previous SPARK technology. We have also shown how security vulnerabilities introduced in the code can be detected by formal verification. With the recent addition of a Manual Proof capability in SPARK 18, it is worth looking at an example which cannot be proved by automatic provers, to see the options that are available for proving it with SPARK. We present three ways to complete a proof beyond what automatic provers can do: using an alternative automatic prover, proving interactively inside our GPS IDE, and using an alternative interactive prover. Summary The Ada IoT Stack consists of an lwIp (“lightweight IP”) stack implementation written in Ada, with an associated high-level protocol to support embedded device connectivity nodes for today’s IoT world. The project was developed for the Make With Ada 2017 competition based on existing libraries and ported to embedded STM32 devices. 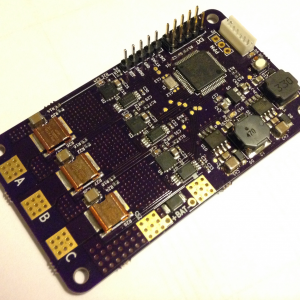 Summary The Hexiwear is an IoT wearable development board that has two NXP Kinetis microcontrollers. One is a K64F (Cortex-M4 core) for running the main embedded application software. The other one is a KW40 (Cortex M0+ core) for running a wireless connectivity stack (e.g., Bluetooth BLE or Thread). The Hexiwear board also has a rich set of peripherals, including OLED display, accelerometer, magnetometer, gryroscope, pressure sensor, temperature sensor and heart-rate sensor. 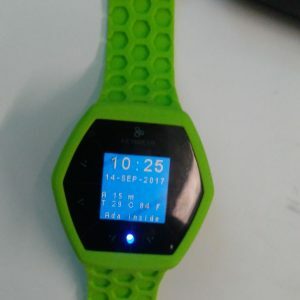 This blog article describes the development of a "Swiss Army Knife" watch on the Hexiwear platform. 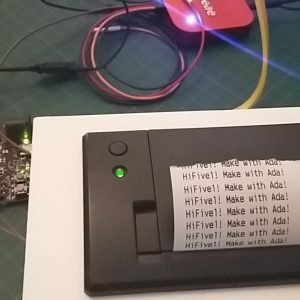 It is a bare-metal embedded application developed 100% in Ada 2012, from the lowest level device drivers all the way up to the application-specific code, for the Hexiwear's K64F microcontroller. I developed Ada drivers for Hexiwear-specific peripherals from scratch, as they were not supported by AdaCore's Ada drivers library. Also, since I wanted to use the GNAT GPL 2017 Ada compiler but the GNAT GPL distribution did not include a port of the Ada Runtime for the Hexiwear board, I also had to port the GNAT GPL 2017 Ada runtime to the Hexiwear. All this application-independent code can be leveraged by anyone interested in developing Ada applications for the Hexiwear wearable device. This project involves the design of a software platform that provides a good basis when developing motor controllers for brushless DC motors (BLDC/PMSM). It consist of a basic but clean and readable implementation of a sensored field oriented control algorithm. Included is a logging feature that will simplify development and allows users to visualize what is happening. The project shows that Ada successfully can be used for a bare-metal project that requires fast execution. We have put together a byte (8 bits) of examples of SPARK code on a server in the cloud. The benefit with this webpage is that anyone can now experiment live with SPARK without installing first the toolset. Something particularly interesting for academics is that all the code for this widget is open source. So you can setup your own proof server for hands-on sessions, with your own exercises, in a matter of minutes. Researcher Martin Becker is giving a SPARK tutorial next week at FDL conference. This post gives a link to his tutorial material (cookbook and slides) which I found extremely interesting. Our good friend Martin Becker has produced a new cheat sheet for SPARK, that you may find useful for a quick reminder on syntax that you have not used for some time. For all the power that comes with proof technology, one sometimes has to pay the price of writing a loop invariant. Along the years, we've strived to facilitate writing loop invariants by improving the documentation and the technology in different ways, but writing loops invariants remains difficult sometimes, in particular for beginners. To completely remove the need for loop invariants in simple cases, we have implemented loop unrolling in GNATprove. It turns out it is quite powerful when applicable. The SPARK toolset aims at giving guarantees to its users about the properties of the software analyzed, be it absence of runtime errors or more complex properties. But the SPARK toolset being itself a complex tool, it is not free of errors. To get confidence in its results, we have worked with academic partners to establish mathematical evidence of the correctness of a critical part of the SPARK toolset. The part on which we focused is the tagging of nodes requiring run-time checks by the frontend of the SPARK technology. This work has been accepted at SEFM 2017 conference. GNAT GPL 2017 is out! For those users of the GNAT GPL edition, we are pleased to announce the availability of the 2017 release of GNAT GPL and SPARK GPL. Two years ago, we redeveloped the code of a small quadcopter called Crazyflie in SPARK, as a proof-of-concept to show it was possible to prove absence of run-time errors (no buffer overflows, not division by zero, etc.) on such code. The researchers Martin Becker and Emanuel Regnath have raised the bar by developing the code for the autopilot of a small glider in SPARK in three months only. Their paper and slides are available, and they have released their code as FLOSS for others to use/modify/enhance! It is notoriously hard to prove properties of floating-point computations, including the simpler bounding properties that state safe bounds on the values taken by entities in the program. Thanks to the recent changes in SPARK 17, users can now benefit from much better provability for these programs, by combining the capabilities of different provers. For the harder cases, this requires using ghost code to state intermediate assertions proved by one of the provers, to be used by others. This work is described in an article which was accepted at VSTTE 2017 conference. The Frama-C & SPARK Day this week was a very successful event gathering the people interested in formal program verification for C programs (with Frama-C) and for Ada programs (with SPARK). Here is a summary of what was interesting for SPARK users. We also point to the slides of the presentations. While SPARK has been used for years in companies like Altran UK, companies without the same know-how may find it intimidating to get started on formal program verification. To help with that process, AdaCore has collaborated with Thales throughout the year 2016 to produce a 70-pages detailed guidance document for the adoption of SPARK. These guidelines are based on five levels of assurance that can be achieved on software, in increasing order of costs and benefits: Stone level (valid SPARK), Bronze level (initialization and correct data flow), Silver level (absence of run-time errors), Gold level (proof of key properties) and Platinum level (full functional correctness). These levels, and their mapping to the Development Assurance Levels (DAL) and Safety Integrity Levels (SIL) used in certification standards, were presented at the recent High Confidence Software and Systems conference. This year again, the VerifyThis competition took place as part of ETAPS conferences. This is the occasion for builders and users of formal program verification platforms to use their favorite tools on common challenges. The first challenge this year was a good fit for SPARK, as it revolves around proving properties of an imperative sorting procedure. In this post, I am using this challenge to show how one can reach different levels of software assurance with SPARK. 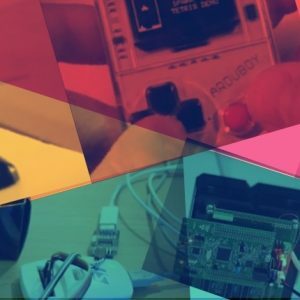 In my previous blog article, I exposed some techniques that helped me rewrite the Crazyflie’s firmware from C into Ada and SPARK 2014, in order to improve its safety. Euclid's algorithm for computing the greatest common divisor of two numbers is one of the first ones we learn in school, and also one of the first algorithms that humans devised. So it's quite appealing to try to prove it with an automatic proving toolset like SPARK. It turns out that proving it automatically is not so easy, just like understanding why it works is not so easy. In this post, I am using ghost code to prove correct implementations of the GCD, starting from a naive linear search algorithm and ending with Euclid's algorithm. Two projects by Daniel King and Martin Becker facilitate the analysis of GNATprove results by exporting the results (either from the log or from the generated JSON files) to either Excel or JSON/text. GNATprove performs auto-active verification, that is, verification is done automatically, but usually requires annotations by the user to succeed. In SPARK, annotations are most often given in the form of contracts (pre and postconditions). But some language features, in particular ghost code, allow proof guidance to be much more involved. In a paper we are presenting at NASA Formal Methods symposium 2017, we describe how an imperative red black tree implementation in SPARK was verified using intensive auto-active verification. Earlier this month AdaCore attended FOSDEM in Brussels, an event focused on the use of free and open source software. Two members of our technical team presented. 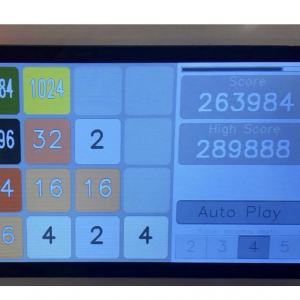 I gave last week a 15-minutes presentation at FOSDEM conference of how you can prove interesting properties of Tetris with SPARK. Here is the recording. At AdaCore, we have a strong expertise in deep static analysis tools (CodePeer and SPARK), and we have been relying on the compiler GNAT and our coding standard checker GNATcheck to deal with more syntactic or weakly-semantic checks. The recent Libadalang technology, developed at AdaCore, provided us with an ideal basis to develop specialized light-weight static analyzers. As an experiment, we implemented two simple checkers using the Python binding of Libadalang. The results on our own codebase were eye-opening: we found a dozen bugs in the codebases of the tools we develop at AdaCore (including the compiler and static analyzers). A new feature of SPARK2014 allows to use a memcached server to share proof results between runs of the SPARK tools and even between developers on different machines. Check out this post to see the details. ​NIST has recently published a report called "Dramatically Reducing Software Vulnerabilities"​ in which they single out five approaches which have the potential for creating software with 100 times fewer vulnerabilities than we do today. One of these approaches is formal methods. Among formal methods, the report highlights strong suits of SPARK, and cites SPARK projects as example of mature uses of formal methods. NIST is not the only ones to support the use of SPARK. Editor Bill Wong from Electronic Design has included SPARK in his "2016 Gifts for the Techie". So if your new year's resolutions include software without bugs, have a look at SPARK in 2017. SPARK and CodePeer, a Good Match! It turns out that the CodePeer engine can be used as a powerful prover for SPARK programs. This feature will be available in the next version of SPARK Pro, make sure you try it out! The SPARK cheat sheet usually distributed in trainings has recently been translated to Japanese. Here they are, both in English and in Japanese. My modest Xmas present. AdaCore will be hosting a joint webcast next Monday 12th December 2pm ET/11am PT with SPARK experts Yannick Moy and Rod Chapman. Together, they will present the current status of the SPARK solution and explain how it can be successfully adopted in your current software development processes. 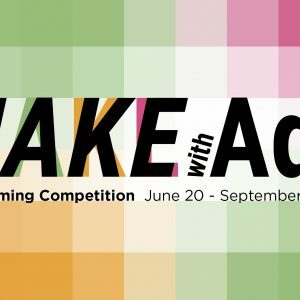 Make With Ada Winners Announced! 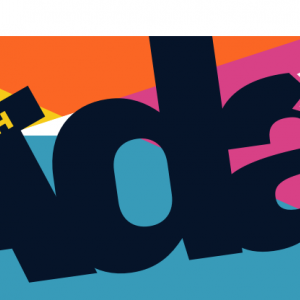 Judging for the first annual Make with Ada competition has come to an end and we can now reveal the results. We report on the creation of the first lemma of a new lemma library on arrays: a lemma on transitivity of the order in arrays. One of the most important challenges for SPARK users is to come up with adequate contracts and annotations, allowing GNATprove to verify the expected properties in a modular way. 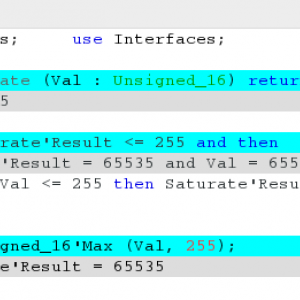 Among the annotations mandated by the SPARK toolset, the hardest to come up with are probably loop invariants. A previous post explains how GNATprove can automatically infer loop invariants for preservation of unmodified record components, and so, even if the record is itself nested inside a record or an array. Recently, this generation was improved to also support the simplest cases of partial array updates. We describe in this post in which cases GNATprove can, or cannot, infer loop invariants for preservation of unmodified array components. GNATprove Tips and Tricks: What’s Provable for Real Now? 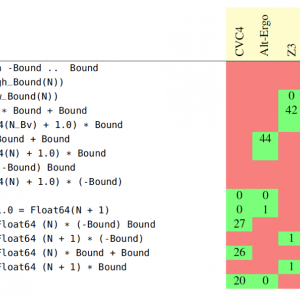 One year ago, we presented on this blog what was provable about fixed-point and floating-point computations (the two forms of real types in SPARK). Since then, we have integrated static analysis in SPARK, and modified completely the way floating-point numbers are seen by SMT provers. Both of these features lead to dramatic changes in provability for code doing fixed-point and floating-point computations. 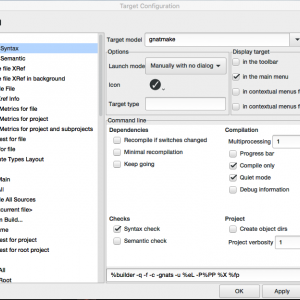 This blog, the first in a series, explains the basic mechanisms that GPS (the GNAT Programming Studio) provides to integrate external tools. A small plugin might make your daily workflow more convenient by providing toolbar buttons and menus to spawn your tool and parse its output. Researchers Carl Brandon and Peter Chapin recently presented during conference HILT 2016 their ongoing work to build a micro satellite called Lunar IceCube that will map water vapor and ice on the moon. In their paper, they explain how the use of proof with SPARK is going to help them get perfect software in the time and budget available. Type invariants are used to model properties that should always hold for users of a data type but can be broken inside the data type implementation. Type invariant are part of Ada 2012 but were not supported in SPARK until SPARK Pro 17. Last week, a few of us at AdaCore have attended a one-day workshop organized at Thales Research and Technologies, around the topic of "Verified, trustworthy code - formal verification of software". Attendees from many different branches of Thales (avionics, railway, security, networks) were given an overview of the state-of-practice in formal verification of software, focused on two technologies: the SPARK technology that we develop at AdaCore for programs in Ada, and the Frama-C technology developed at CEA research labs for programs in C. The most interesting part of the day was the feedback given by three operational teams who have experimented during a few months with either SPARK (two teams) or Frama-C (one team). The lessons learned by first-time adopters of such technologies are quite valuable. Something that many developers do not realize is the number of run-time checks that occur in innocent looking arithmetic expressions. Of course, everyone knows about overflow checks and range checks (although many people confuse them) and division by zero. After all, these are typical errors that do show up in programs, so programmers are aware that they should keep an eye on these. Or do they? Using Ada technologies to develop video games doesn’t sound like an an obvious choice - although it seems like there could be an argument to be made. The reverse, however, opens some more straightforward perspectives. Formal verification tools like GNATprove rely on the user to provide loop invariants to describe the actions performed inside loops. Though the preservation of variables which are not modified in the loop need not be mentioned in the invariant, it is in general necessary to state explicitly the preservation of unmodified object parts, such as record fields or array elements. These preservation properties form the loop’s frame condition. As it may seem obvious to the user, the frame condition is unfortunately often forgotten when writing a loop invariant, leading to unprovable checks. To alleviate this problem, the GNATprove tool now generates automatically frame conditions for preserved record components. In this post, we describe this new feature on an example. Ready for a bloody comparison between technologies underlying the tools for SPARK 2014 vs Frama-C vs Why3? Nothing like that in that article we wrote with developers of the Why3 and Frama-C toolsets. In fact, it's a bloody good comparison really, that emphasizes the differences and benefits in each technology. Researchers from Dependable Computing and Zephyr Software LLC have presented at the latest NASA Formal Methods conference last week their work on proving security of binary programs. In this work, they use SPARK as intermediate language and GNATprove as proof tool, which is an atypical and interesting use of the SPARK technology. A well-know result of computing theory is that the theory of arithmetic is undecidable. This has practical consequences in automatic proof of programs which manipulate numbers. The provers that we use in SPARK have a good support for addition and subtraction, but much weaker support for multiplication and division. This means that as soon as the program has multiplications and divisions, it is likely that some checks won't be proved automatically. Until recently, the only way forward was either to complete the proof using an interactive prover (like Coq or Isabelle/HOL) or to justify manually the message about an unproved check. There is now a better way to prove automatically such checks, using the recent SPARK lemma library. Containers holding several items of the same type such as arrays, lists, or sets are a common occurrence in computer programs. Stating a property over such containers often involves quantifying over the elements they contain. The way quantified formulas over containers are translated for proof can be tuned in GNATprove using a specific annotation. Today I will write the first article in a short series about the development of an SMTLIB processing tool in SPARK. Instead of focusing on features, I intend to focus on the how I have proved absence of run-time errors in the name table and lexer. I had two objectives: show absence of run-time errors, and do not write useless defensive code. Today's blog will be about the name table, a data structure found in many compilers that can map strings to a unique integer and back. The next blog post will talk about the lexical analyzer. Did SPARK 2014 Rethink Formal Methods? David Parnas is a well-known researcher in formal methods, who famously contributed to the analysis of the shut-down software for the Darlington nuclear power plant and designed the specification method known as Parnas tables and the development method called Software Cost Reduction. 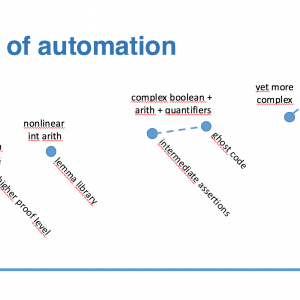 In 2010, the magazine CACM asked him to identify what was preventing more widespread adoption of formal methods in industry, and in this article on Really Rethinking Formal Methods he listed 17 areas that needed rethinking. The same year, we started a project to recreate SPARK with new ideas and new technology, which lead to SPARK 2014 as it is today. Parnas's article influenced some critical design decisions. Six years later, it's interesting to see how the choices we made in SPARK 2014 address (or not) Parnas's concerns. AdaCore continues to build reliable and secure software for embedded software development tools. Last month, we attended Embedded World 2016, one of the largest conferences of its kind in Europe, to present our embedded solutions and our expertise for safety, and mission critical applications in a variety of domains. CubeSat continues to orbit the Earth thanks to Ada & SPARK! Dr Carl Brandon of Vermont Technical College and his team of students used SPARK and Ada to successfully launch a satellite into space in 2013 and it has continued to orbit the Earth ever since! 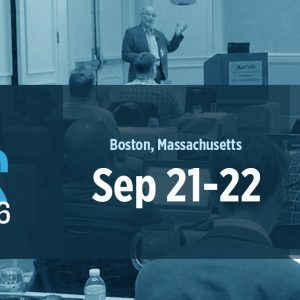 At our AdaCore Tech Days in Boston last year Dr Brandon explained further. Just a few weeks ago, one of our partners reported a strange behavior of the well-known function Ada.Text_IO.Get_Line, which reads a line of text from an input file. When the last line of the file was of a specific length like 499 or 500 or 1000, and not terminated with a newline character, then Get_Line raised an exception End_Error instead of returning the expected string. That was puzzling for a central piece of code known to have worked for the past 10 years! But fair enough, there was indeed a bug in the interaction between subprograms in this code, in boundary cases having to do with the size of an intermediate buffer. My colleague Ed Schonberg who fixed the code of Get_Line had nonetheless the intuition that this particular event, finding such a bug in an otherwise trusted legacy piece of code, deserved a more in depth investigation to ensure no other bugs were hiding. So he challenged the SPARK team at AdaCore in checking the correctness of the patched version. He did well, as in the process we uncovered 3 more bugs. 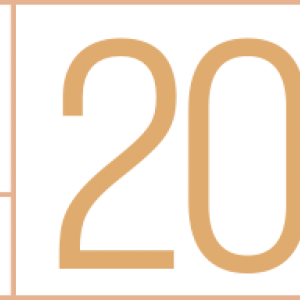 RSSR is a new conference focused on the development and verification of railway systems. 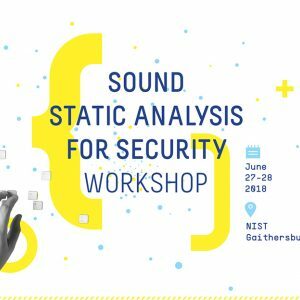 We will present there how SPARK can be used to write abstract software specifications, whose refinement in terms of concrete implementation can be proved automatically using SPARK tools. Embedded World will see the latest release of QGen, the qualifiable and customisable code generator for Simulink® and Stateflow® models! 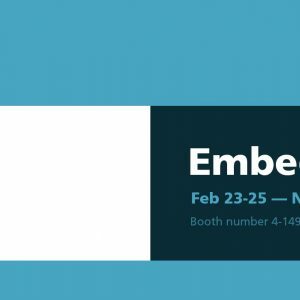 We are pleased to announce that we will be a major sponsor and exhibitor at ERTS, Toulouse and will be exhibiting at Embedded World, Nuremberg in the coming months! GNATprove Tips and Tricks: What’s Provable for Real? SPARK supports two ways of encoding reals in a program: the usual floating-point reals, following the standard IEEE 754, and the lesser known fixed-point reals, called this way because their precision is fixed (contrary to floating-points whose precision varies with the magnitude of the encoded number). This support is limited in some ways when it comes to proving properties of computations on real numbers, and these limitations depend strongly in the encoding chosen. In this post, I show the results of applying GNATprove on simple programs using either floating-point or fixed-point reals, to explain these differences. As presented in a recent post by Pavlos, the upcoming release of SPARK Pro will support concurrency features of Ada, with the restrictions defined in the Ravenscar profile of Ada. This profile restricts concurrency so that concurrent programs are deterministic and schedulable. SPARK analysis makes it possible to prove that shared data is protected against data races, that deadlocks cannot occur and that no other run-time errors related to concurrency can be encountered when running the program. 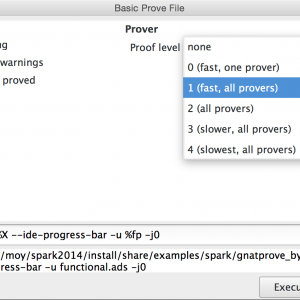 In this post, I revisit the example given by Pavlos to show SPARK features and GNATprove analysis in action. The new big feature of the SPARK 2016 release is the support of the Ravenscar profile. Users can now use protected objects and tasks to write concurrent code. On uniprocessor computers the toolset can ensure that no deadlocks or data races will occur and that no tasks will terminate. Read this blog post to learn more and see the new feature in practice. 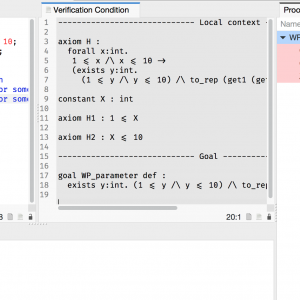 While the analysis of failed proofs is one of the most challenging aspects of formal verification, it would be much easier if a tool would automatically find values of variables showing why a proof fails. SPARK Pro 16, to be released in 2016, is going to introduce such a feature. If a proof fails, it attempts to generate a counterexample exhibiting the problem. This post introduces this new feature, developed in the scope of the ProofInUse laboratory. One of the most difficult tasks when using proof techniques is to interact with provers, in particular to progressively increase proof power until everything that should be proved is proved. Until the last release, increasing the proof power meant operating on three separate switches. There is now a simpler solution based on a new switch --level, together with a simpler proof panel in GPS for new users. Based on our many years of experience with our customers using SPARK in their projects, we have come up with a list of eight objectives that are most commonly targeted when using SPARK. Most projects only target a few of them, but in theory one could try to achieve all of them with SPARK on a project. This list may be useful for those who want to assess if the SPARK technology can be of benefit in their context, and to existing SPARK users to compare their existing practice with what others do. I am very pleased to announce that a book is now available for those who want to learn formal verification with SPARK 2014. This book was written by Prof. John McCormick from University of Northern Iowa and Prof. Peter Chapin from Vermont Technical College. We've been interacting a lot with them since they started in 2013, and the result of these interactions is quite satisfying! AdaCore has a long history of providing tools and support to develop mission critical applications for Space. Check out this video we made and showed at the conference to see which ones! Preconditions and postconditions define a very strong mechanism for specifying invariant properties over the program's control. What about similar properties for the program's data? It turns out Ada 2012 defined such a construct, type predicates, which was not supported in SPARK until now. And now it is. 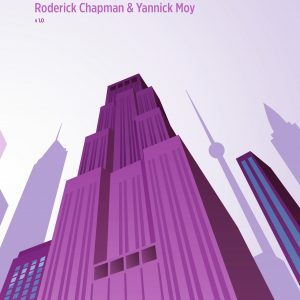 In 2010, Rod Chapman released an implementation in SPARK of the Skein cryptographic hash algorithm, and he proved that this implementation was free of run-time errors. That was a substantial effort with the previous version of the SPARK technology. We have recently translated the code of SPARKSkein from SPARK 2005 to SPARK 2014, and used GNATprove to prove absence of run-time errors in the translated program. The difference between the two technologies is striking. The heroic effort that Rod put in the formal verification of the initial version of SPARKSkein could now be duplicated with modest effort and modest knowledge of the technology, thanks to the much greater proof automation that the SPARK 2014 technology provides, as well as various features that lower the need to provide supporting specifications, most notably contracts on internal subprograms and loop invariants. The Crazyflie is a very small quadcopter sold as an open source development platform: both electronic schematics and source code are directly available on their GitHub and its architecture is very flexible. Even if the Crazyflie flies out of the box, it has not been developed with safety in mind: in case of crash, its size, its weight and its plastic propellers won’t hurt anyone! But what if the propellers were made of carbon fiber, and shaped like razor blades to increase the drone’s performance? In theses circumstances, a bug in the flight control system could lead to dramatic events. In this post, I present the work I did to rewrite the stabilization system of the Crazyflie in SPARK 2014, and to prove that it is free of runtime errors. SPARK also helped me to discover little bugs in the original firmware, one of which directly related with overflows. Besides the Crazyflie, this work could be an inspiration for others to do the same work on larger and more safety-critical drones. Program analyzers interpret the source code of a program to compute some information. Hopefully, the way they interpret the program is consistent with the way that the compiler interprets it to generate an executable, or the information computed is irrelevant, possibly misleading. For example, if the analyzer says that there are no possible run-time errors in a program, and you rely on this information to compile with dynamic checking off, it is crucial that no run-time error could occur as a result of a divergence of opinion between the analyzer and the compiler on the meaning of an instruction. We recently discovered such an inconsistency in how our compiler and analyzers dealt with floating-point exponentiation, which lead to a change in how GNAT now compile these operations. 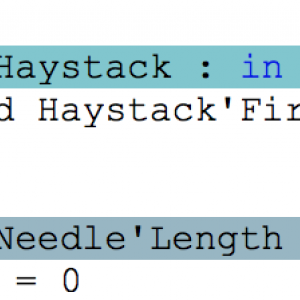 In SPARK, as in most programming languages, there are a bunch of bounded integer types. On the other hand, Why3 only has mathematical integers and a library for bitvectors. Since bitwise operations can only be done on modular types in Ada, we currently translate arithmetic operations on signed integer types as operations on mathematical integers and arithmetic operations on modular types as operation on bitvectors. The only remaining question now is, how do we encode specific bounds of the Ada types into our Why3 translation ? In this post, I will present three different ways we tried to do this and explain which one we currently use and why.